Conditions like plantar fasciitis and bone spurs can cause heel pain when walking, and they may require medical treatment. Learn more about what causes these common foot pain problems, the early signs to detect an issue, and treatment options for your heel pain. When everyday activities like walking, jogging, or even standing become unbearable, there is a good chance your chronic heel pain may be caused by a medical condition. Plantar fasciitis. This painful condition results from irritation or inflammation of the band of tough tissue connecting the heel bone to the toes. Though this ailment usually affects the arch or heel early in the morning, pain can also be present while walking. Heel spurs. This abnormal bone growth is usually caused by outside factors, such as excessive running or ill-fitting shoes. 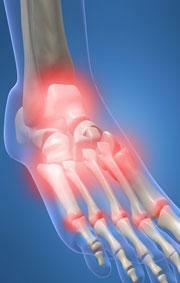 Heel spurs can cause pain while walking or standing still, but normally these growths are pain free and go unnoticed. Impact injuries. A fractured heel or a deep bruise sometimes occur when someone falls or otherwise steps too harshly. The pain from a bruise is typically temporary, but a heel fracture will cause serious and lasting pain. Wear shoes with support or custom soles. Try muscle stretches or therapy. If bone spurs are still causing heel pain when walking, it may be time to seek the advice of a medical professional. 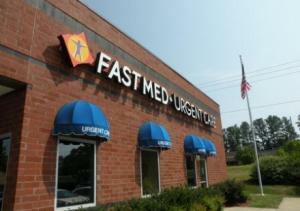 When you need care that is high quality, quick, and affordable, FastMed Urgent Care is the answer. When you have heel pain, walking into one of our clinics is often more convenient than a trip to the emergency room. FastMed locations have on-site labs and X-rays, which means that we’ll be able to accurately diagnose the likely cause of your heel pain. FastMed is also affordable. We offer a self-pay discount program, and we accept most major insurance plans, including Medicare and Medicaid. If you suffer from heel pain while walking and need treatment, find a FastMed location near you today! “The urgent care center was terrific! The staff delivered exactly what I needed: professional care and personal attention — and they delivered it with care and kindness. Urgent Care is on my radar as an integral part of my community and I have given several enthusiastic recommendations to friends and work associates. Thank you!” – Gayle C.